Since 1993 our company has been helping contractors get their Utah state contractors license. With a 99% success rate, our exam prep classes are the best in the industry. All types of Contractors must take this exam. This license can stand-alone as the only exam needed for some smaller Specialty Licenses that do not require an additional trade exam. All other Contractor applicants are required to pass this exam in addition to their trade exam in order to obtain a Contractors license. This license allows the construction of single-family residences, multi-family residences up to four units, and commercial construction of not more than three stories above the ground and not more than 20,000 square feet. A residential/small commercial contractor building a single-family or multi-family residence up to four units may perform the mechanical work required. In all other instances, only a contractor who holds that specific trade license may do any electrical, plumbing or mechanical work. General Building Contractor means a person licensed as a building contractor qualified by education, training, experience, and knowledge to perform or superintend the construction of structures for the support, shelter, and enclosure of persons, animals, chattels, or moveable property of any kind. A General Building Contractor may NOT engage in the performance of a construction specialty specifically identified by rule, in which there is represented a substantial risk to the public health, safety, and welfare and for which a license is required unless that general building contractor holds a valid license in that specialty classification. A General Building Contractor, when performing work defined under the classification: Residential & Small Commercial Contractor”, is under the restrictions defined under this classification. A Journeyman Electrician is a person who possesses the knowledge and skill to install, alter, repair, add to, or change electrical conductors, fixtures, appliances, apparatus, raceways, conduit or any part there of which generates, transforms, or utilizes electrical energy in any form for light, heat, power, or communications. A Master Electrician is a person who possesses knowledge and skill to design, plan, layout, install, alter, repair, add to, or change electrical conductors, fixtures, appliances, apparatus, raceways, conduit or any part thereof which generates, transforms, or utilizes electrical energy in any form for light, heat, power, or communications. A Residential Journeyman Electrician is a person who possesses the training, experience, and knowledge to wire, install, and repair electrical apparatus and equipment for light, heat, power, and other purposes, on buildings using primarily non metallic sheathed cable where the voltage does not exceed 250 Volts line to line, and 125 Volts to ground. The HVAC license allows the fabrication and installation of complete warm air heating and air conditioning systems, and complete ventilating systems. This license allows the fabrication, application and installation of insulation materials to pipes, ducts, and conduits. This license allows the fabrication and installation of refrigerated air conditioning and ventilation systems, includes the layout and fabrication of sheet metal, gas piping, and electrical power connections from unit components to junction boxes and control circuitry devices and wiring not exceeding 50 volts. Construction and/or installation of refrigeration equipment including, but not limited to, built-in refrigerators, refrigerated rooms, insulated refrigerated spaces and equipment related thereto; but, the scope of permitted work does not include the installation of gas fuel or electric power services other than connection of electrical devices to a junction box provided for that device and electrical control circuitry not exceeding 50 volts. This license allows layout, fabrication, and installation of sheet metal for ducts and vents, gas piping, furnaces and controls necessary for complete warm-air ventilation systems. A Journeyman plumber is someone with the qualifications, training, experience, and technical knowledge to engage in the performance of any mechanical work pertaining to the installation, alteration, change, repair, removal, maintenance, or use in building or within three feet beyond the outside walls of building of pipes, fixtures and fittings for the delivery of the water supply, discharge of liquid and water carried waste or the building drainage system within the walls of the building. It includes that work pertaining to the water supply, distribution pipes, fixtures, and fixture traps, the soil waste and vent pipes, and the building drain and roof drains together with their devices, appurtenances, and connection where installed within the outside walls of the building. A Residential Journeyman plumber is someone with the qualifications, training, experience, and technical knowledge to engage in the plumbing trade as limited to the plumbing of residential buildings. This includes the performance of any mechanical work pertaining to the installation, alteration, change, repair, removal, maintenance, or use in building or within three feet beyond the outside walls of building of pipes, fixtures and fittings for the delivery of the water supply, discharge of liquid and water carried waste or the building drainage system within the walls of the building. It includes that work pertaining to the water supply, distribution pipes, fixtures, and fixture traps, the soil waste and vent pipes, and the building drain and roof drains together with their devices, appurtenances, and connection where installed within the outside walls of the building. Fire Suppression Contractors may layout, fabricate, and install fire protection systems using water, steam, gas, or chemicals. When a potable sanitary water supply system is used as the source of supply, a licensed journeyman must accomplish connection to the water system plumber. Excluded from this classification are persons engaged in the installation of fire suppression systems in hoods above cooking appliances. This license allows the fabrication for structural and finish purposes in a structure or building using wood, wood products, metal studs, vinyl materials, or other wood/plastic composites as is by custom and usage accepted in the building industry as carpentry. This license allows for the fabrication, construction, mixing, batching, and/or placing and setting of screens for pavement or flatwork, the construction of forms, placing and erection of steel bars for reinforcing and application of plaster and other cement-related products. This license allows the fabrication, construction and/or installation of drywall, gypsum, wallboard panels and assemblies. It also covers the preparation of surfaces for suitable painting and finishing. General Engineering Contractor means a person licensed under the Utah Construction Trades Licensing Act, Chapter 58-55-102, as a general engineering contractor qualified by education, training, experience, and knowledge to perform construction of fixed works in any or all of the following: irrigation, drainage, water, power, water supply, flood control, inland waterways, harbors, railroads, highways, tunnels, airports and runways, sewers and bridges, refineries, pipelines, chemical and industrial plants requiring special engineering knowledge and skill, piers and foundations or any of the components of those works. However, a general engineering contractor may NOT perform construction of structures built primarily for the support, shelter, and enclosure of persons, animals and chattels. This license allows the moving of the earth’s surface or placing earthen materials on the earth’s surface, by use of hand or power machinery and tools, including explosives, in any operation of cut, fill, excavation, grading, trenching, backfilling, or combination thereof as they are generally practiced in the construction trade. This classification includes preparation of surface and the application of all paints, varnishes, shellacs, stains, waxes, and other coatings or pigments by the use of brushes, spray, or rollers. A roofing contractor applies or installs asphalt, pitch, tar, felt, flax, shakes, shingles, roof tile, slate, and any other material or materials or any combination of any thereof, that use and custom has established as usable for, or which materials are now used as, such waterproof, weatherproof, or watertight seal or membranes for roofs and surfaces; and roof conversion. Incidential work includes the installation of roof clamp ring to the roof drain. This license allows for the fabrication, construction, installation, and/or removal of all types and sizes of glass, mirrors, substitutes for glass, glass holding members, frames, hardware and other incidental related work. This license allows the fabrication and/or installation of pipes and piping for the conveyance or transmission of steam, gases, chemicals, and other substances including excavating, trenching, and back-filling related to such work. An Insulation Contractor is authorized to perform the installation of any insulating media in buildings and structures for the sole purpose of temperature or sound control. This license allows the layout, fabrication, and/or installation of water distribution systems for artificial watering or irrigation. This license allows grading and preparing plots and areas of land for architectural, horticulture, and the decorative treatment, arrangement, and planting of gardens, lawns, shrubs, vines, bushes, trees and other decorative vegetation. Construct pools, tanks, walls, and patio areas when they are an incidental part of the prime contract, fences, walks, garden lighting (must be 50 volts or less), drainage, and sprinkler systems. This license allows for the preparation, fabrication, construction, and installation of artificial marble, burned clay tile, ceramic, encaustic, faience, quarry, semivitreous, and other tile, excluding hollow or structural partition tile. This license covers construction by cutting, and/or laying of all the following brick, block or forms: architectural, industrial, and refractory brick, all brick substitutes, clay and concrete blocks, terra-cotta, thin set or structural quarry tile, glazed structural tile, gypsum tile, glass block, clay tile, copings, natural stone, plastic refractories and castables, and incidental works as required in construction of a masonry work. This license allows the installation of overhead and garage doors and door openers. This license allows the fabrication, construction, and installation of pipes for the conveyance and transmission from one station to another of such products as water, steam, gases, chemicals, or slurries. Included are the excavation, grading, and backfilling necessary for construction of the system. This license allows the fabricating, placing, typing, or mechanically welding of reinforcing bars of any profile that are used to reinforce concrete buildings or structures. 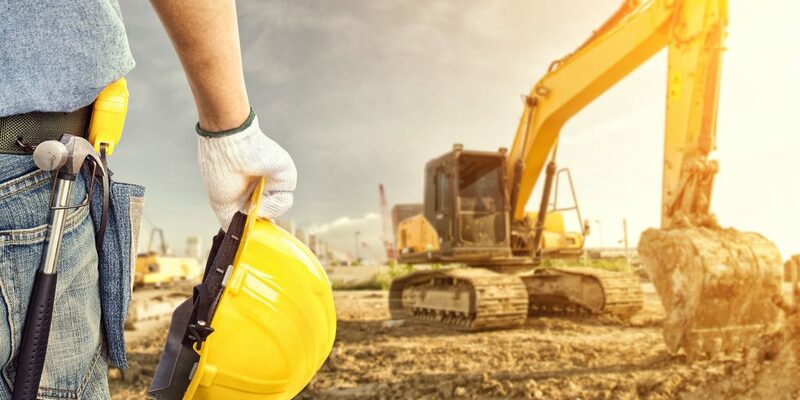 This license allows the construction of residential sewer lines including connection to the public sewer line, and excavation and grading related thereto. It also covers the excavation, installation and grading of residential septic tanks and their drainage. The license covers the construction of sewer lines, sewage disposal and sewage drain facilities including excavation and grading with respect thereto; and the construction of sewage disposal plants and appurtenances thereto. This license allows layout, fabrication, and installation of air handling and ventilating systems. All architectural sheet metal such as cornices, marquees, metal soffits, gutters, flashings, skylights, and sky domes including both plastic and fiberglass. This license allows the application of shingles and shakes made or wood or any other material. This license allows the fabrication and/or construction of wood, aluminum, steel or vinyl siding. This license allows the installation of signs and graphic displays, which require installation permits or permission as issued by state or local governmental jurisdictions. Signs and graphic displays shall include signs of all types, both lighted and unlighted, permanent highway marker signs, illuminated awnings, electronic message centers, sculptures or graphic representations including logos and trademarks intended to identify or advertise the user or his product, building trim or lighting with neon or decorative fixtures, or any other animated, moving or stationary device used for advertising or identification purposes. Signs and graphic displays must be fabricated, installed and erected in accordance with the National Electrical Code. This license allows the fabrication and/or installation of solar energy systems. This license allows construction by fabrication, placing, and typing or welding of steel reinforcing bars or erecting structural steel shapes, plates or any profile, perimeter or cross-section that are used to reinforce concrete or as structural members, including riveting, welding, or rigging. This license allows the on-site fabrication, construction, and installation of swimming pools, prefabricated pools, spas, and tubs. This license allows the installation of wood flooring prefinished and unfinished material, sanding, staining, and finishing of new and existing wood flooring. Underlayments, non-structural sub floors and other incidental related work.